Looking for movie tickets? 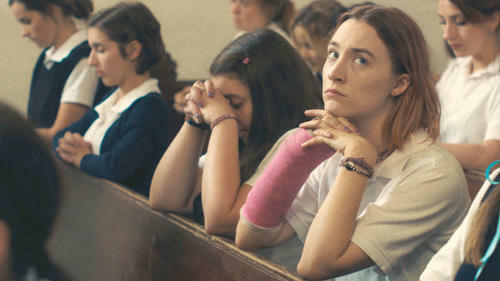 Enter your location to see which movie theaters are playing Lady Bird near you. Alicia Malone tells you about the dark comedy 'I, Tonya', and the award-worthy movies you can see in theaters right now! Which film are you hoping gets Oscar attention? Check out all the Best Picture nominees in one epic mashup! Which film are you rooting for? 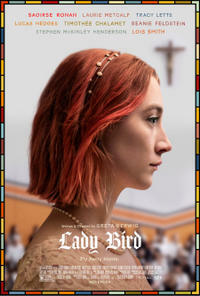 Christine “Lady Bird” McPherson (Saoirse Ronan) fights against but is exactly like her wildly loving, deeply opinionated and strong-willed mom, a nurse working tirelessly to keep her family afloat after Lady Bird's father loses his job.